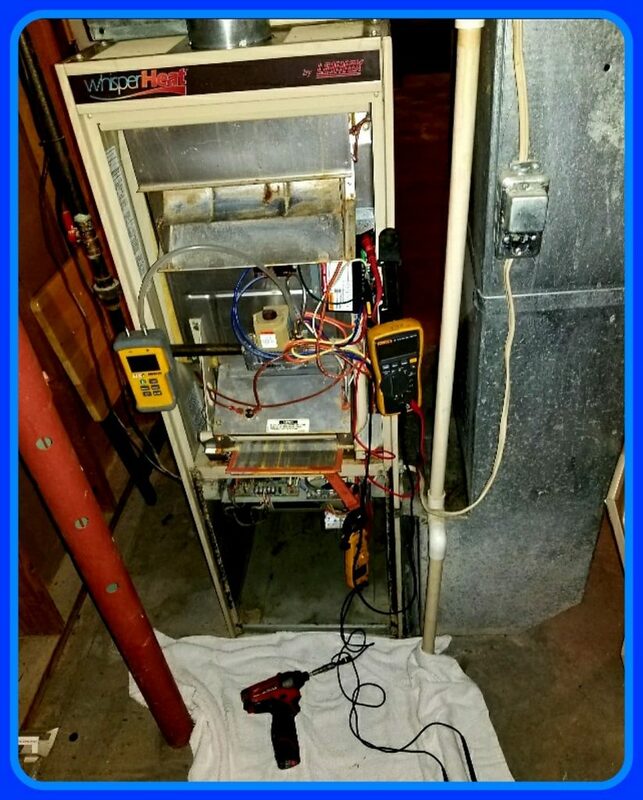 Having issues with your house not staying warm enough, utility bill going through the roof because of that old outdated furnace, or maybe just looking to have your system serviced and cleaned? 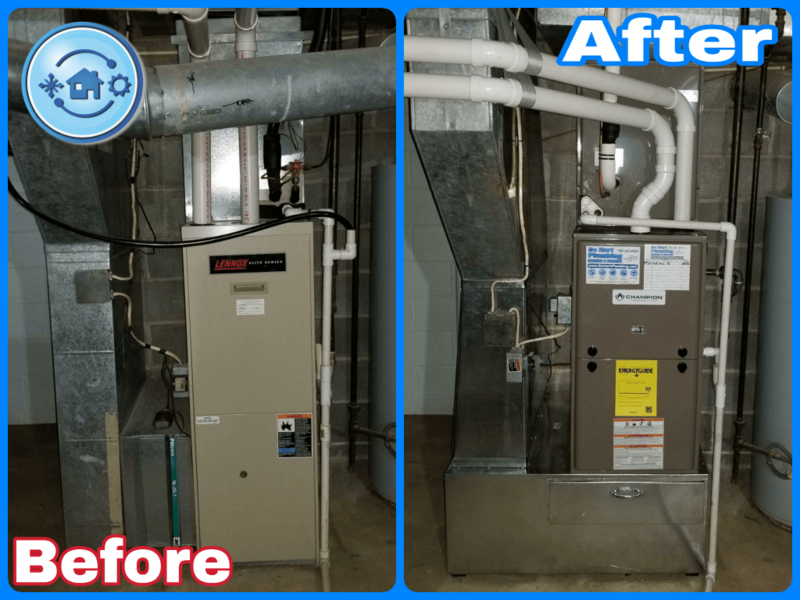 Our professionally trained staff with Master Mechanical licenses are ready to tackle all of your furnace repair, furnace service, furnace installation, and furnace replacement needs. 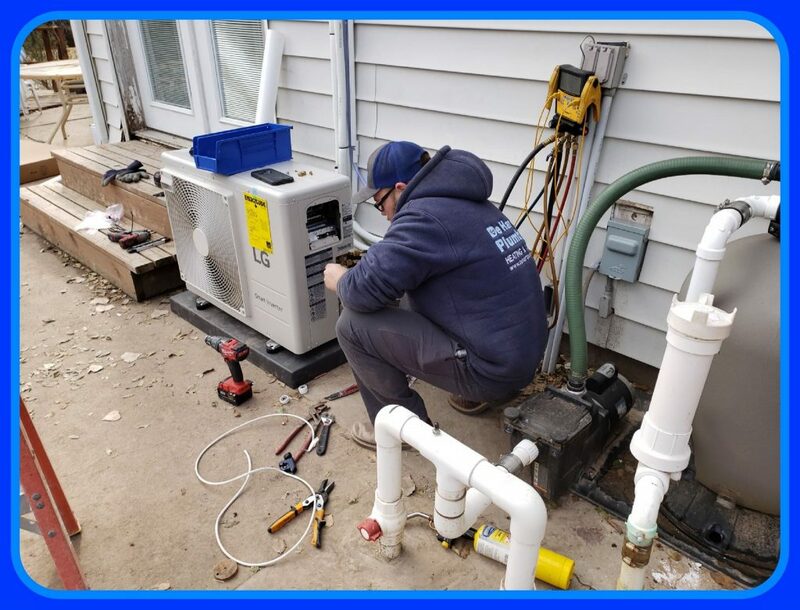 All of our technicians are trained directly under a licensed Master craftsman and will take the utmost care of you, your home and your furnace. From a thermostat not working to a complete system replacement, we have you covered. If you keep an eye on your indoor furnace, it will become obvious when you need a furnace repair or replacement. 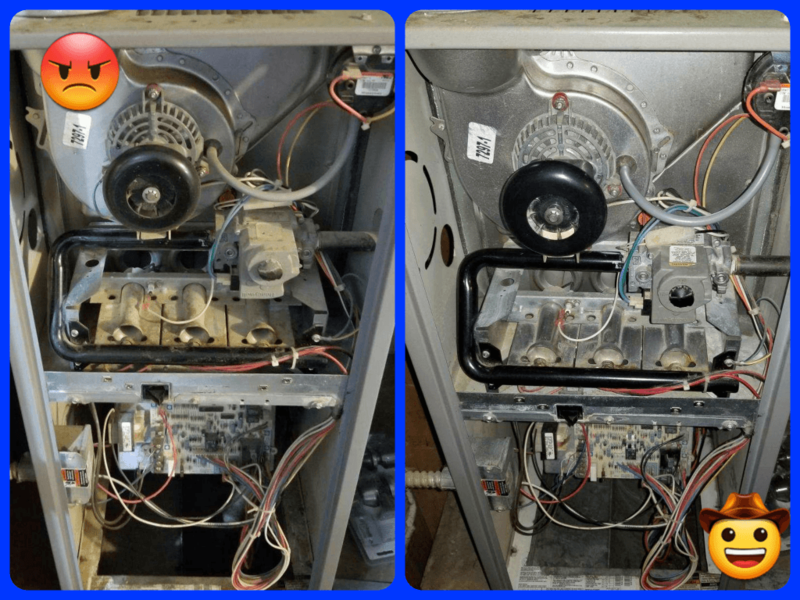 Some signs will be very obvious while some will be more subtle, but if you notice any of the following symptoms with your furnace system you should consider a repair or replacement. 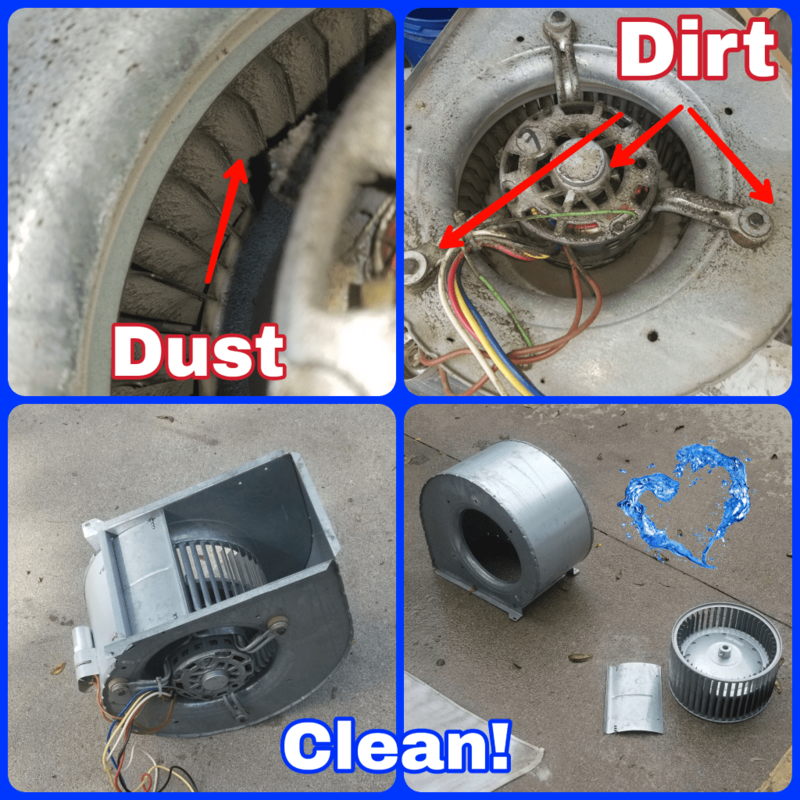 If you hear grinding sounds coming from inside the unit, a decrease or inconsistent heat level in your home or an increased utility bills if your unit is losing efficiency. A typical furnace will last approximately 15 years. If your unit is around this age, it may be time to consider a replacement. Over time your furnace will lose efficiency and will require more service. 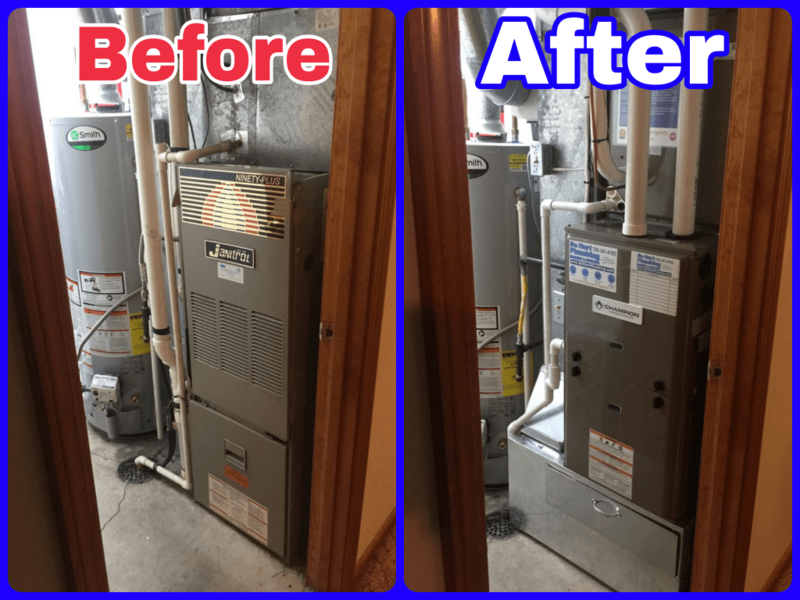 When this time comes, it’s more cost- ­effective to replace the unit with a furnace installation. De Hart Plumbing Heating and Cooling offer a full line of MADE IN KANSAS Champion brand heating and cooling products that deliver unrivaled reliability, energy efficiency and superior comfort you can count on. You work hard to maintain your home. You can count on our complete line of Champion® Heating and Cooling equipment to do the same. Call TODAY or schedule a service online.